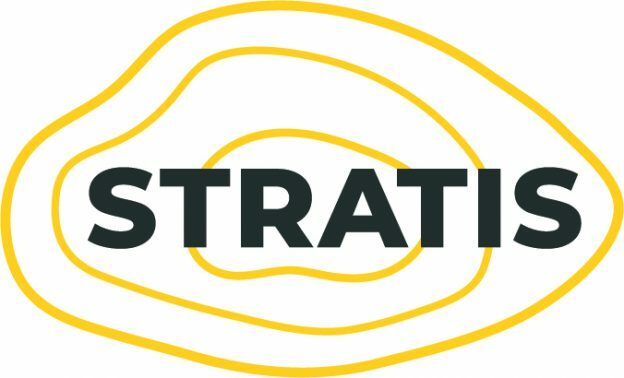 We just tagged Stratis 1.0. Writing the design doc. Early on, much of the work was convincing people the approach we wanted was a good one. We spent a lot of time discussing details among ourselves and winning over internal stakeholders (or not), but most of all, showing that we had given serious thought to various alternatives, and had spent some time to comprehend the consequences of initial design choices. Having the design doc made these discussions easier, and solicited feedback that resulted in a much better design than what we started with. Implementing on-disk metadata formats and algorithms to protect maximally against corruption and over-write. People said it would take more time than we thought and they…weren’t wrong! I still think implementing this was the right call, however. The hordes of range lists Stratis manages internally. It was probably inevitable that using multiple device-mapper layers involves a lot of range mapping. Stratis does a lot of it now, and it will be doing way more in the future, once we start using DM devices like integrity, raid, and compression. Rust really came through for us here I think. Rust’s functional aspects work very well for things like mapping and allocating. The D-Bus interface was a big effort in the pre-0.5 timeframe, but now that it is up and running it’s easy to maintain and update. We owe much of this to the quality of the dbus-rs library, and the receptivity of its author, diwic, to help us understand how to use it, and also helping to add small bits that aided our usage of D-Bus. Thanks to Igor Gnatenko and Josh Stone, two people who played a large part in making Rust on Fedora a reality. When I started writing the prototype for Stratis, this was a big question mark! I just hoped that the value of Rust would ensure that sooner or later Rust would be supported on Fedora and RHEL, and thanks to these two (and others, and, oh, you know, Firefox needing it…) it worked out. I’d also like to thank the Rust community, for making such a compelling, productive systems language through friendliness and respect, sweating the details, and sharing! Like I alluded to before, Rust’s functional style was a good match for our problem space, and Rust’s intense focus on error handling also was perfect for a critical piece of software like stratisd, where what to do about errors is the most important part of what it does. Finally, I’d like to thank the other members of the Stratis core team: Todd, Mulhern, and Tony. Stratis 1.0 is immeasurably better because of the different backgrounds and strengths we each brought to bear on developing this new piece of software. Thanks, everybody. You made 1.0 happen. The 1.0 release marks the end of the beginning, so to speak. We just left the Shire, Frodo! Stratis is a viable product, but there’s so much more to do. Integrating more high-value device-mapper layers, more integration with other storage APIs (both “above” and “below”), more flexibility around adding and removing storage devices, while keeping the UI clean and the admin work low, is the challenge. Stratis is going to need some major help to get there. For people interested in doing development, testing, packaging, or using Stratis, I invite you to visit our website and GitHub, or just keep tabs by following the project on Google Plus or Twitter. This entry was posted in Blog and tagged development, fedora, linux, rust, storage, stratis on October 4, 2018 by agrover. You may want to add a “Who are we” page on the website. When I saw the announcement combined with the FAQ that having multiple devices increases the chance of failure, I worried that this was yet another meh attempt. And/or change the versioning to separate metadata version and feature version? How about getting it available in Fedora 29. It ain’t there yet. Getting it requires enabling the modular repo: “dnf install fedora-repos-modular”.